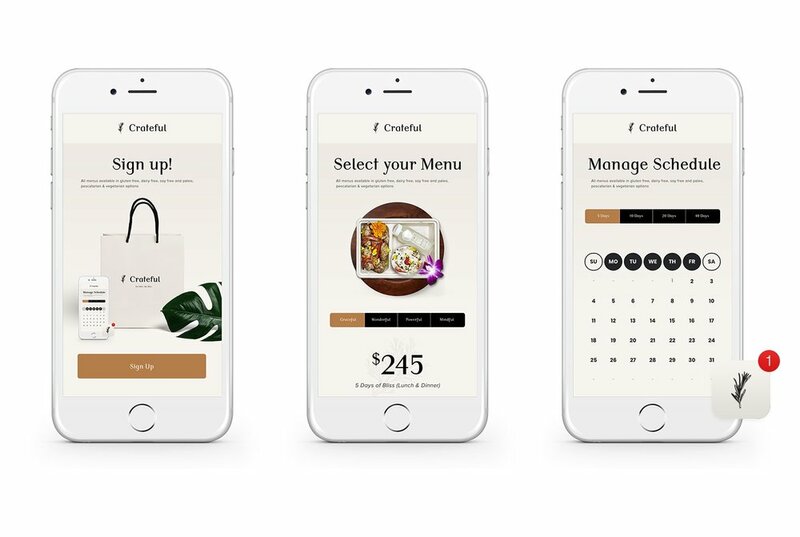 Crateful, a “fully prepared” gourmet meal plan, combining total convenience with great taste. Does your product reflect the personality of the people that use it? We elevate brands, think through product features, manage resources, execute deliverables and establish/defend a product’s vision. We bring a caliber of design that builds high user perception with entrepreneurial efficiency. There’s a threshold of believability. When a caliber of design is met, your audience actually trusts that your business can deliver a top notch solution. Nothing is more limiting than only having one design problem solved. Start building design equity so that your team can scale your business's character. Your logo can only inform so much. With all the noise of new brands, new products, and loose promises... customers can see past the launch. The days of just lifting off are over. Build user confidence by building believable products that land. A multi-channel platform that will engage with your customers no matter where they find you. An ecosystem is mature, thoughtful & premium. It builds trust, so customers don’t hesitate to invest in your product. We build companies, not just service brands. We see all the visuals, tone, marketing, accounting software, product design/function as a part of a system that keeps a business growing.